Delhi High Court has slapped a fine of Rs. 10 lakh on film maker Ram Gopal Varma for the “deliberate act” of copyright infringement and passing off of the 1975 blockbuster, Sholay. The Plaintiffs had claimed Rs.1, 00, 01,000/- as damages for loss of business or sales, actual illegal profits, loss of reputation and goodwill and as exemplary and punitive damages. The Court however granted a sum of Rs.10, 00,000/- as punitive damages. 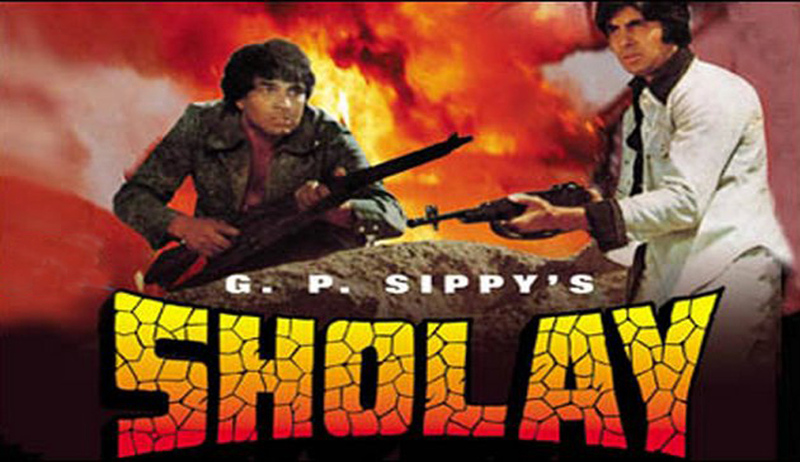 Sholay released on August 15, 1975 under the Sippy Films banner and was an instant hit. Over the years, the film has not only achieved a cult status but still remains the box office gold standard for blockbuster films of Indian cinema. It had been claimed that Sippy Films, by virtue of being the producer of the film Sholay was the first owner of copyright in the said film and its constituent parts as per the mandate of the Copyright Act, 1957. The rights were transferred through a gift deed to Sholay Media and Entertainment Pvt. Ltd. in the year 2000. Thus, Sholay Media and Entertainment Pvt. Ltd. is now the owner of the copyright as well as all common law rights in the cinematographic film Sholay and the constituent parts of the cinematographic film Sholay. By virtue of being the owner of the film Sholay, as well as those of its constituent parts i.e. the screenplay, script, sound recordings (i.e. songs and recording of the back ground music), musical works, lyrics, artwork etc., Sholay Media and Entertainment Pvt. Ltd. had claimed certain exclusive rights under Section 14 of the Copyright Act, 1957. It was alleged before the Court that even though Mr. Ram Gopal Varma had requested Mr. G.P. Sippy and his grandsons to license the rights to remake Sholay, including the use of the title Sholay and other characters of the film, the same was not granted. Subsequently, the proposed name of the movie was also changed from ‘Ram Gopal Varma ki Sholay’ to ‘Ram Gopal Varma ki Aag’ through a Court order. Sholay Media and Entertainment Pvt. Ltd. however approached the Court for Copyright protection when they chanced upon posters where the movie was still being publicized as ‘Ram Gopal Varma ki Sholay’. Further, press statements were being made, indicating that Mr. Varma was continuing with his project to remake Sholay and was also using characters such Gabbar Singh, Jai-Veeru and songs such as Mehbooba-Mehbooba in the film. The Court noted that this film was still a remake of the film Sholay, as it retained the same plot. The Court also arrived at the conclusion after referring to the publicity material. The Court observed that the characters in the film namely ‘Gabbar Singh', 'Jai', 'Veeru', ‘Basanti’, ‘Radha’, ‘Thakur', ‘Dhanno' and Sambha' are extremely well developed, unique and distinctive making them sufficiently delineated, with widely identifiable traits, thus meriting copyright protection. It said that these characters satisfy both the 'Especially Distinctive Test' and the 'Story being told Test' as propounded by various courts in India and abroad. The Court noted that Sholay Media and Entertainment Pvt. Ltd. had been using the trademark Sholay since the year 1975 in relation to cinematograph films, vinyl records and audio tapes etc., apart from the statutory rights, the trademarks ‘Sholay’, ‘Gabbar’ and ‘Gabbar Singh’. Delhi High Court had earlier in 2010 and 2013 recognized the rights of Sholay Media and Entertainment Pvt. Ltd. as copyright owners of the entire Sippy repertoire and restrained third parties from infringing their rights.